Our immensely popular first book is back in a softcover edition, and we're delighted that the Yorkshire poet, writer and broadcaster Ian McMillan, the 'Bard of Barnsley' with a soft spot for Humberside, has contributed a Foreword. GEORGE HOLMES lived from 1861 to 1940 on the northern side of the Humber estuary. He was an avid and accomplished sailor in small craft of his own design, in British waters and in mainland Europe, and his prolific writing and drawing have left us an absorbing and charming record of his cruises, his boats, and the people and places he encountered. In common with his friend and sailing companion Albert Strange, boats were not his regular occupation but were a diversion from his working life. And along with Strange, his name is forever associated with the development of the Canoe Yawl, now enjoying a renewed popularity. Its sailing qualities make it arguably the best choice of craft for the single- or short-handed coastal and estuary sailor. Holmes of the Humber is a nautical book and a social document. Look within to appreciate the pioneering days of cruising under sail, when enjoyment and fulfilment sprang from personal endeavour and the camaraderie of the group, and were largely independent of the external forces which would control us today. 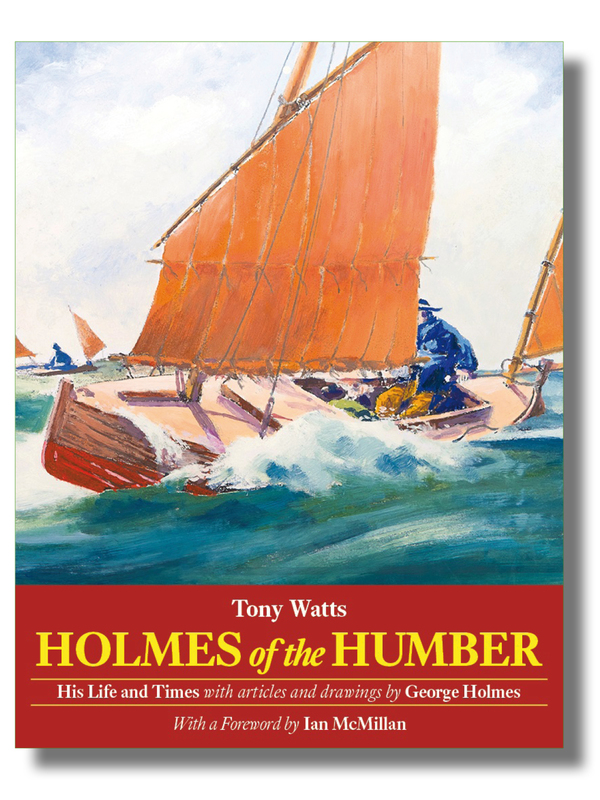 Tony Watts has combined original sources, Holmes’ published output and the recollections of his family, and his own knowledge and experience of the Humber sailing scene to produce this, The Essential George Holmes. Front cover: ‘Daisy on the Zuider Zee’ (detail) by Tony Watts, from an original by Albert Strange. ISBN 978-1-907206-39-9; 275 x 210mm, 272 pages, many drawings and photographs. Softcover with sewn binding, cover flaps and matt lamination.